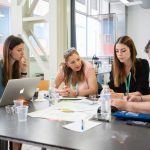 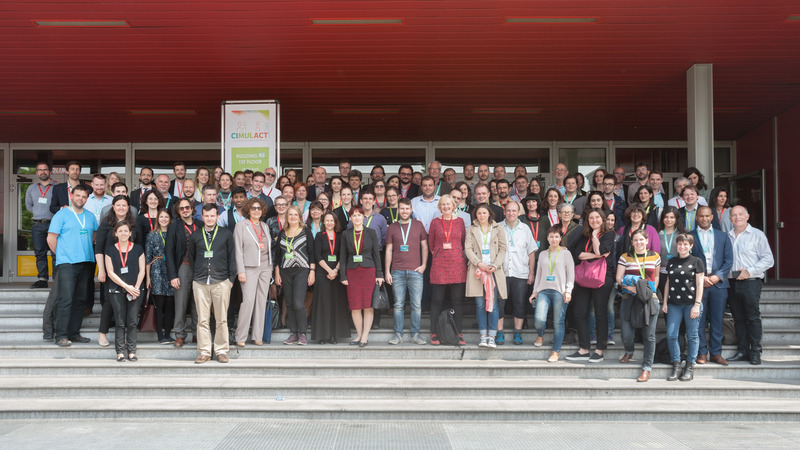 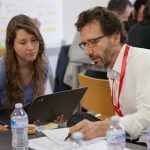 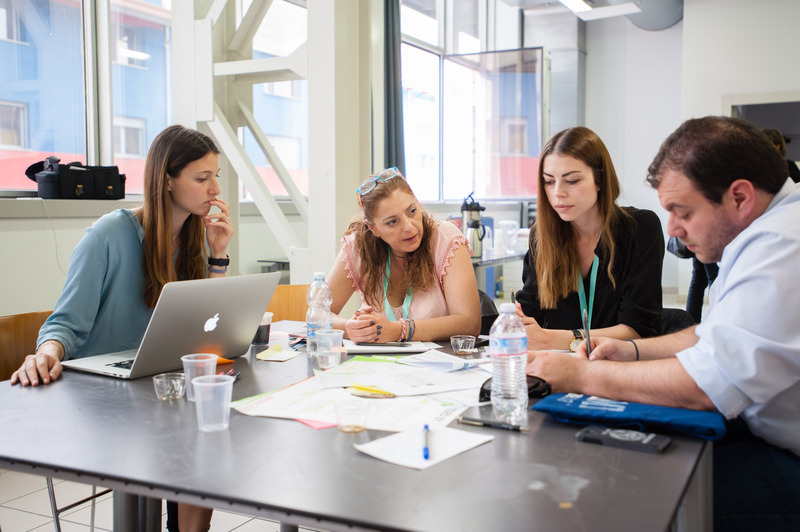 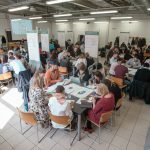 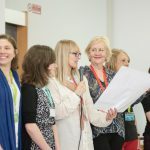 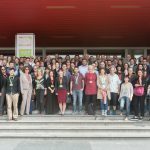 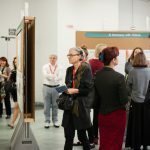 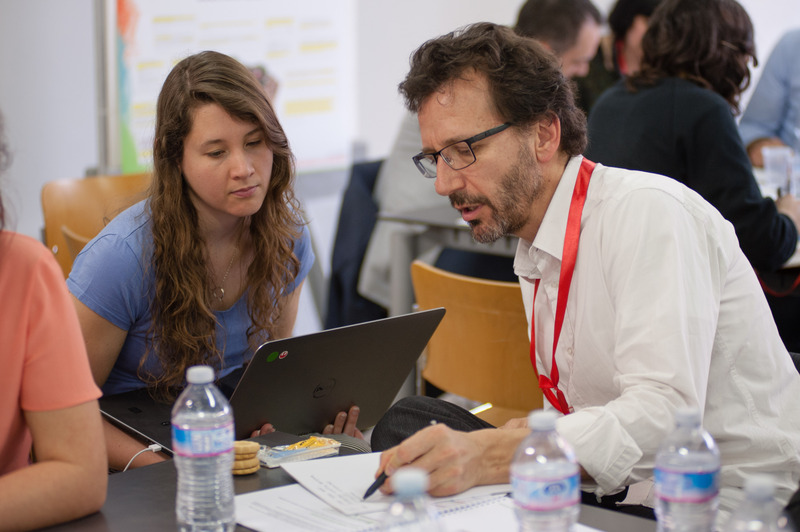 More than one hundred people from across Europe were expected in Politecnico di Milano – Design Department on Thursday 21 and Friday 22 of April …. 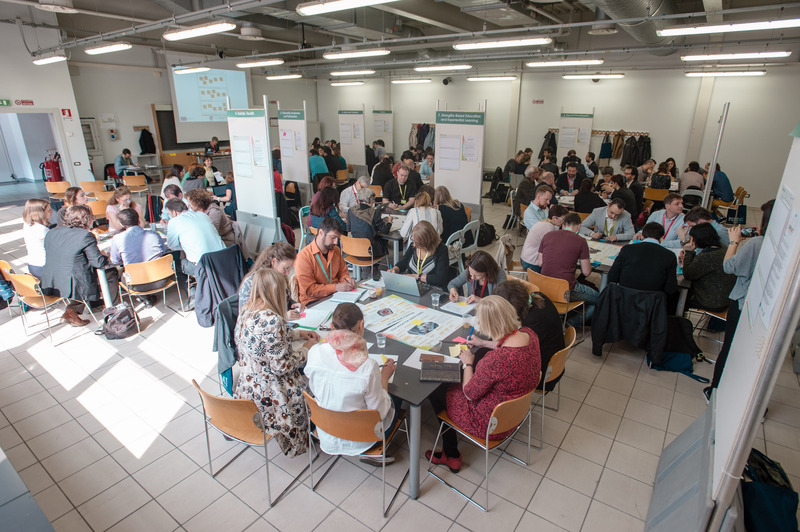 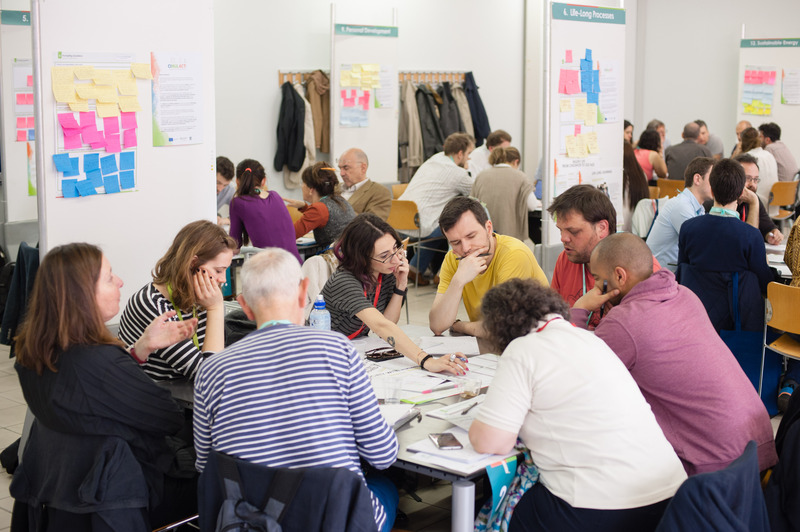 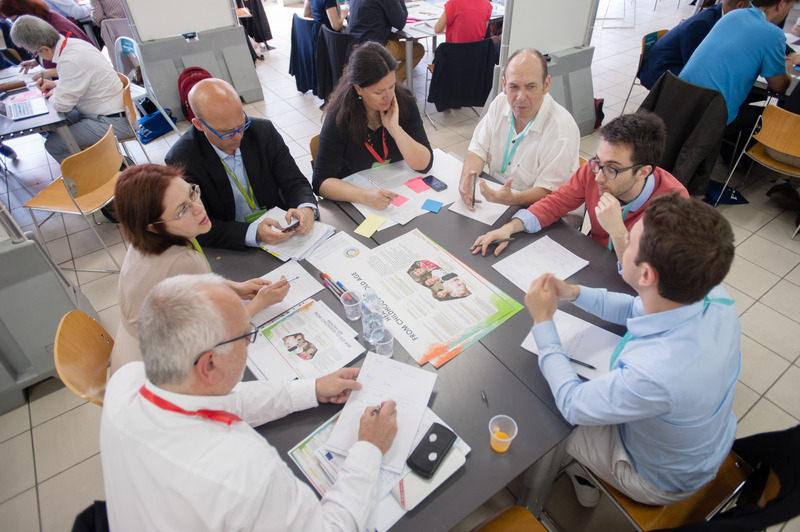 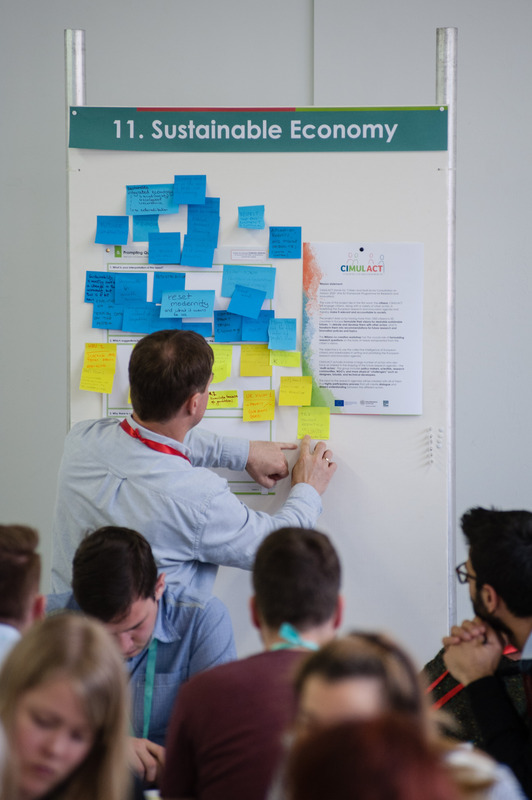 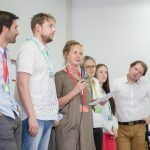 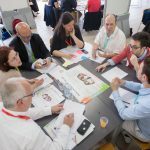 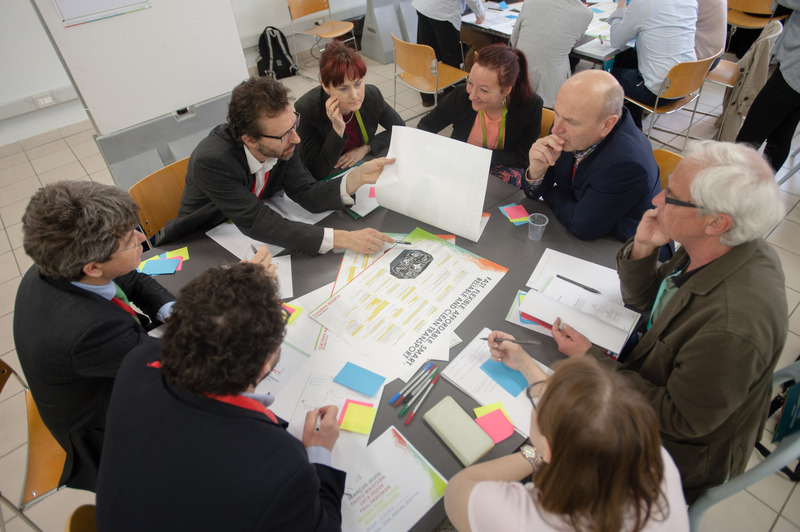 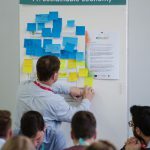 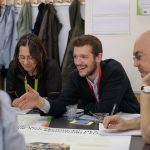 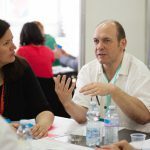 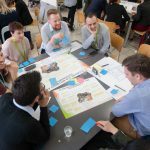 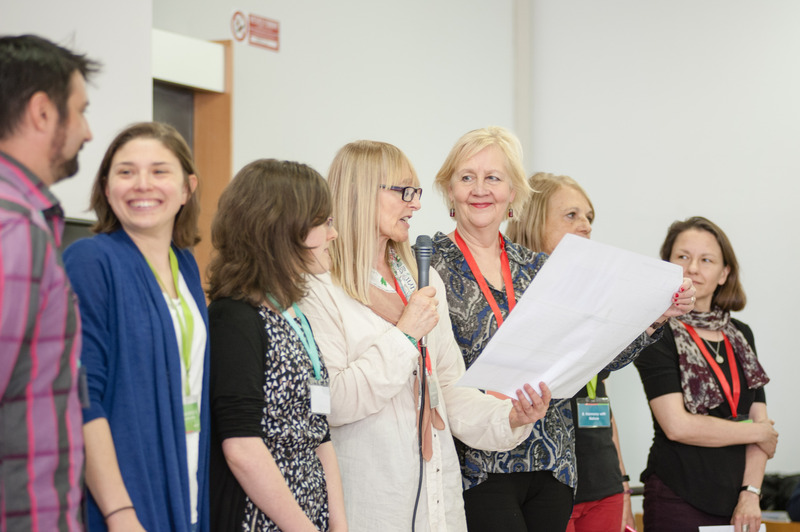 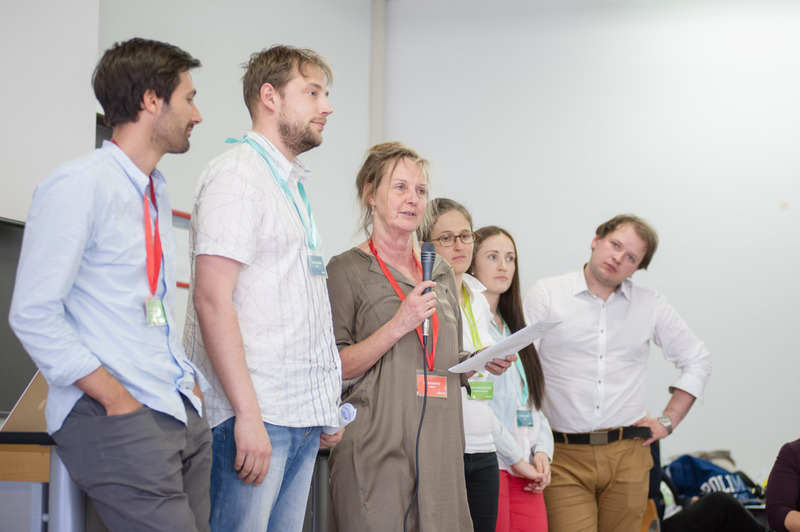 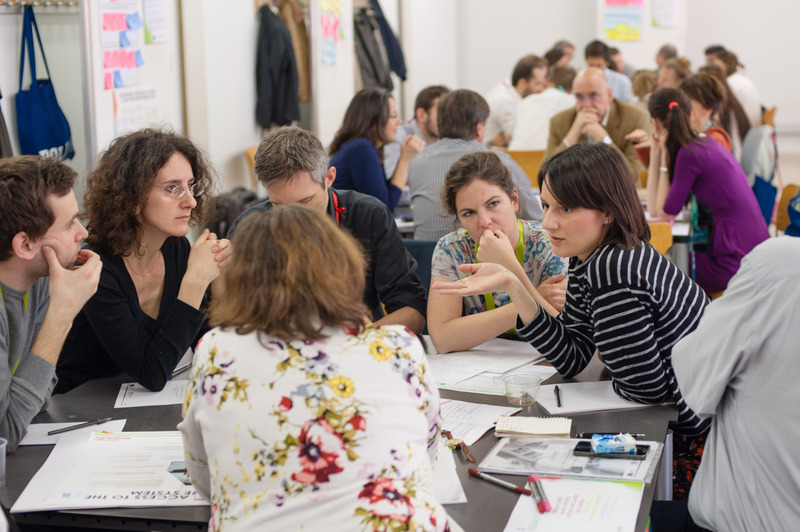 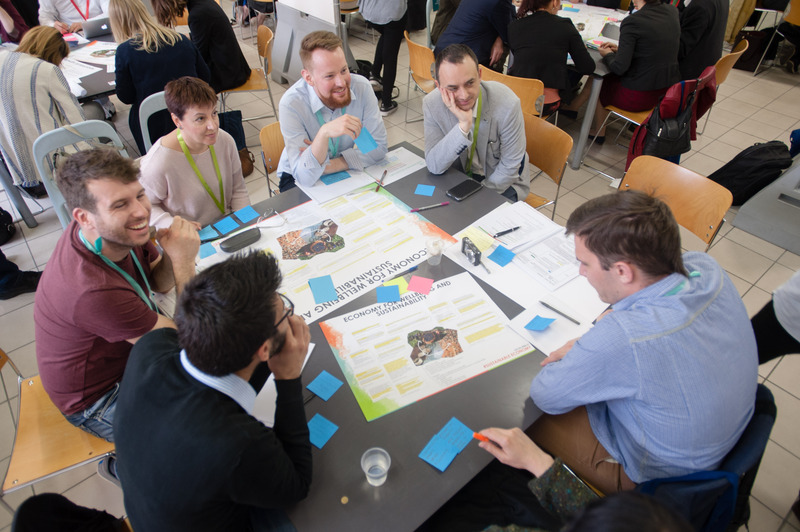 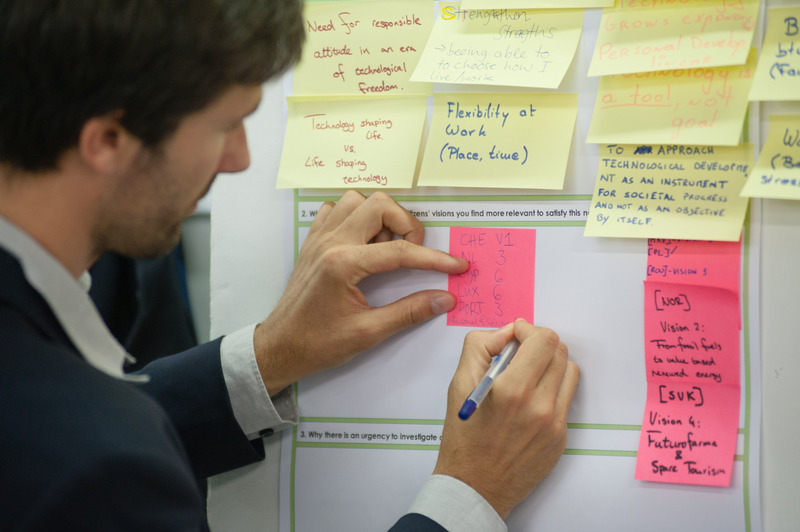 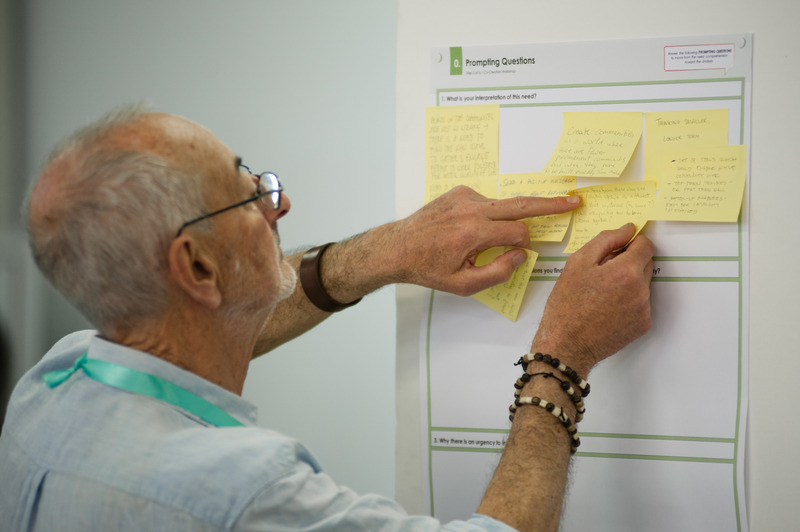 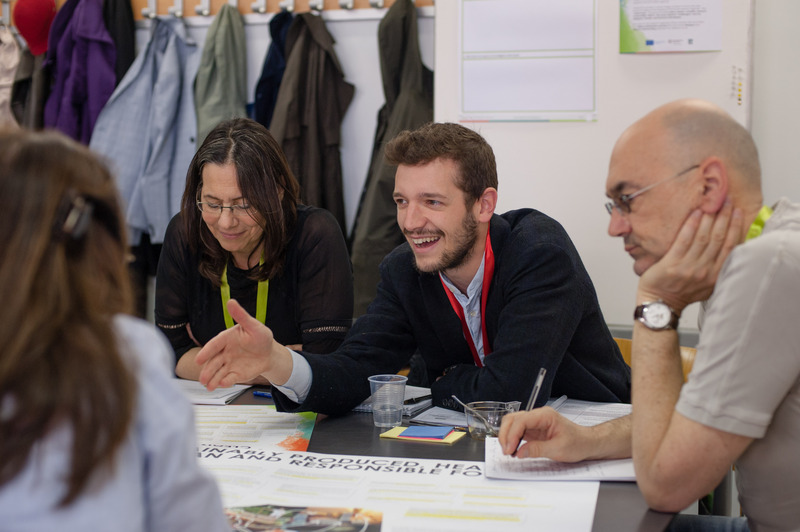 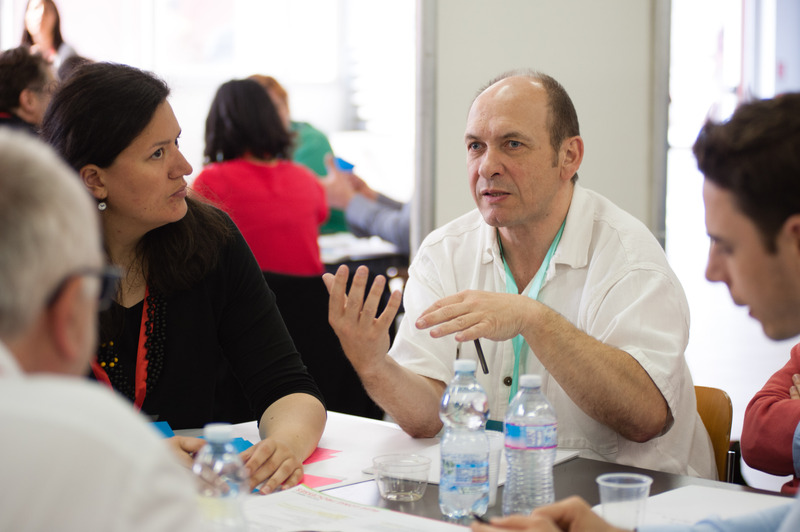 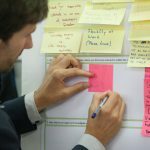 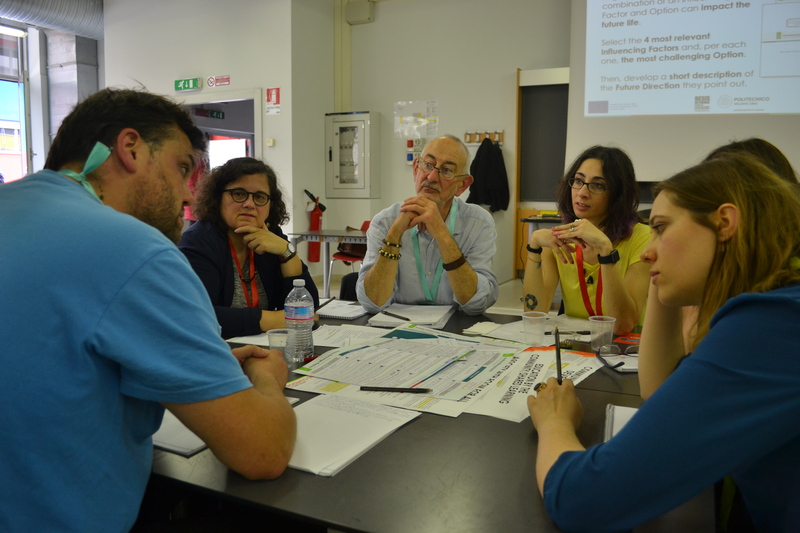 It was the CIMULACT Co-creation Workshop, the huge creative gathering of research partners, citizens and experts aimed at producing a Research Agenda Scenario for the future of Europe. 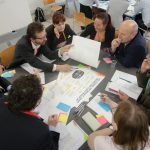 A big challenge in terms of organisation and a big dream in terms of expectations: to start a dialogue around the future of research and innovation by using creative and envisioning thinking; to gradually develop needs into research programmes that will impact on the lives of all of us. 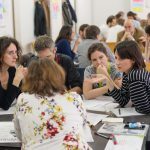 Thinking big, we like to see this not just as a one-off initiative, but as an experiment of a new standard in citizen+expert deliberation for a European strategic research and innovation agenda. 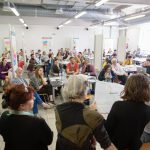 We were trying out ways of managing a co-creative process: mixing and matching citizens, researchers and experts in different fields; getting 100 people to work together under pressure for 2 days with an ambitious goal. 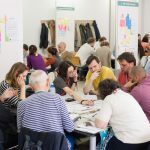 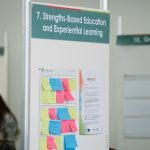 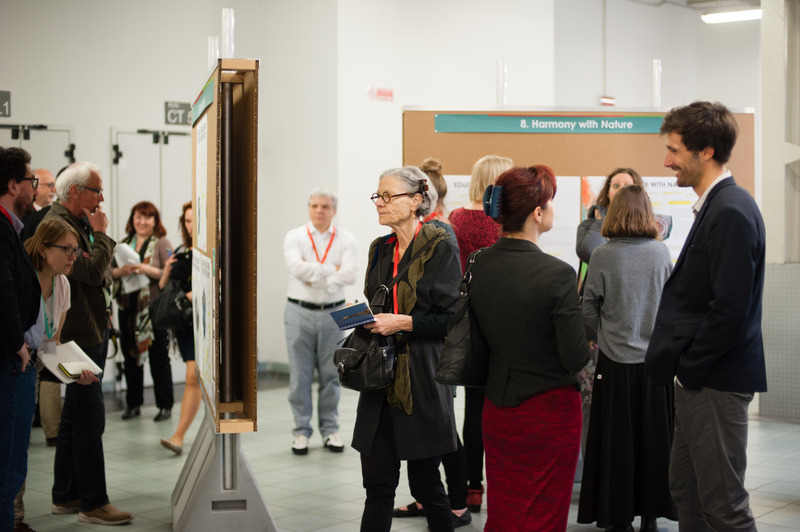 Starting with an exhibition of social needs drawn from the visions of citizens, the workshop guided the participants through a collective and collaborative journey structured using design thinking and scenario building methods and tools. 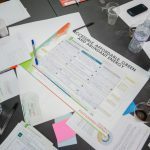 12 teams of 8-9 people, led by an expert table coordinator from the CIMULACT consortium, worked simultaneously through a 6-step process that took them from an understanding of the specific needs expressed in the visions to the formulation of future research directions aiming to answer those needs. 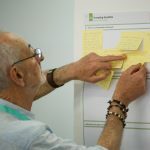 Finally, 48 research scenarios were designed. 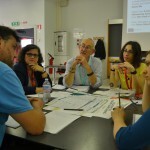 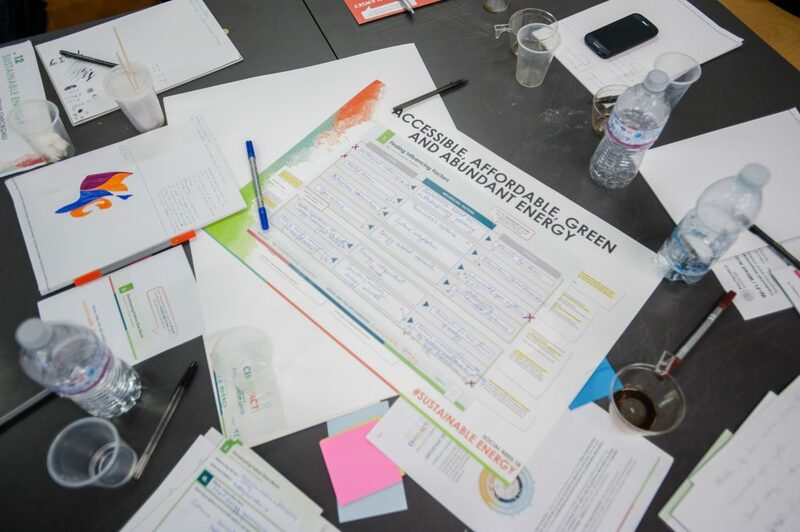 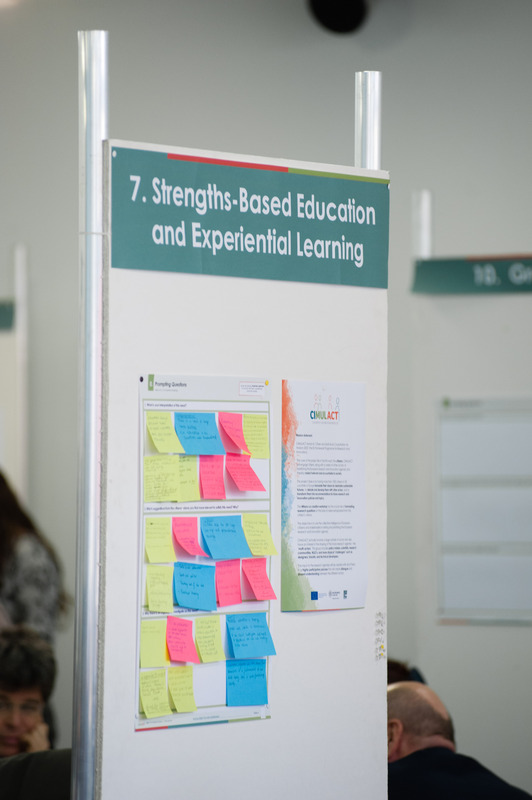 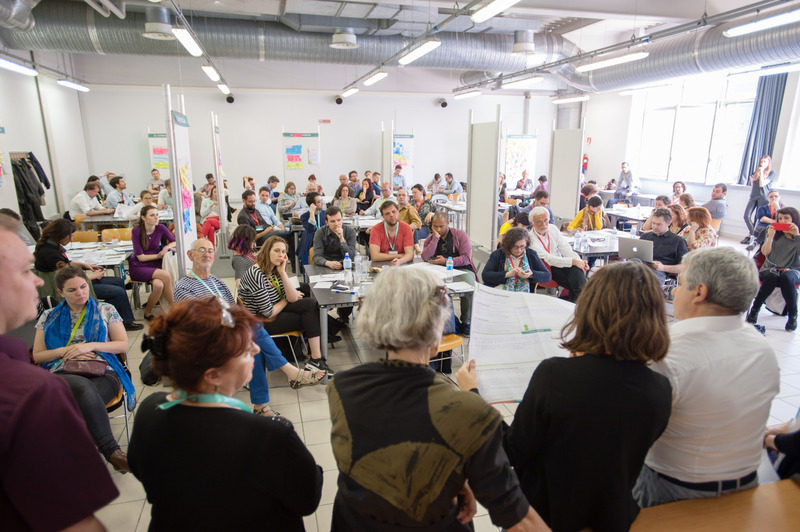 These form the basis for a very rich research and innovation agenda that will emerge after a second round of local online and face-to-face consultations, the purpose of which will be to organize and enrich and the work delivered in this huge and exciting Milano Co-creation Workshop.